The event will feature a ribbon-cutting ceremony by Mayor Felix Skarpa of Dayton, Texas and the Dayton County Chamber of Commerce. 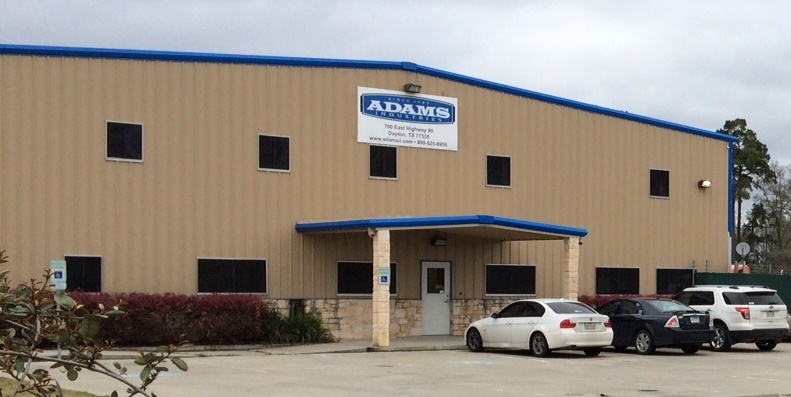 Adams Industries owner, Don Adams, will be speaking about the new facility and plans for future business growth. Complementary food, beverages and giveaways will be part of the celebration. Adams Industries, headquartered in Sidney, NE is a supply chain service company specializing in trucking, warehousing, transloading and logistics. Their location is dual rail served by the Burlington Northern Santa Fe and Union Pacific Railroads and also has land available for manufacturers or service providers looking for industrial development. Their new Dayton, TX facility focuses on the trucking and logistics side of the business, along with a new full service maintenance shop. Their trucking division, Adams Trucking, is fully equipped to pull flatbed, pneumatic and uniquely designed steel coil trailers. Their maintenance shop offers a full range of truck and trailer maintenance services to keep single owner operators or outside trucking fleets on the road.